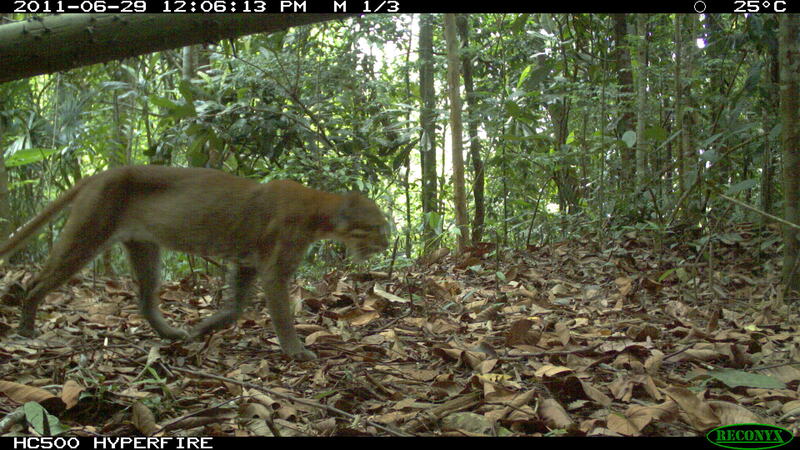 Photo update 4: What’s in the forest and what’s under the bridge? 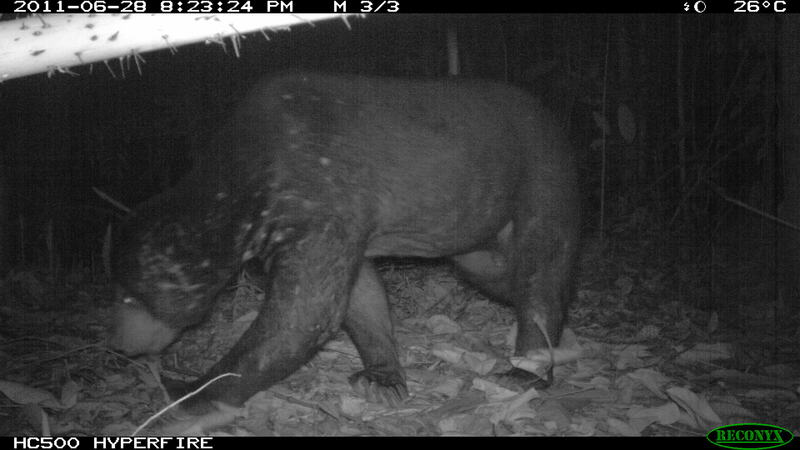 Here’s a long overdue photo update on the species of mammals photographed by our Reconyx camera traps in the Kenyir Wildlife Corridor Project. 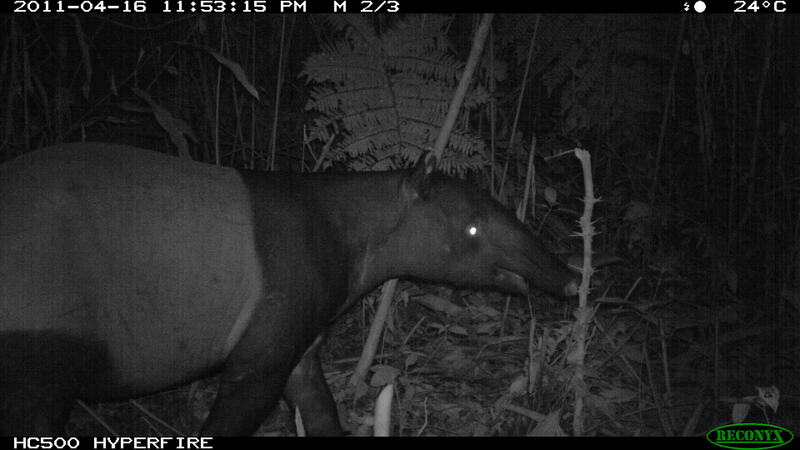 While other camera traps used by our friends in WWF-Malaysia have flash that captures award-winning photos of wildlife and allow you to identify animal individuals to get density estimates, covert cameras such as ours may decrease the likelihood of your camera being destroyed by irritable elephants or encroachers who want souvenirs – it all depends on the objective of your study. 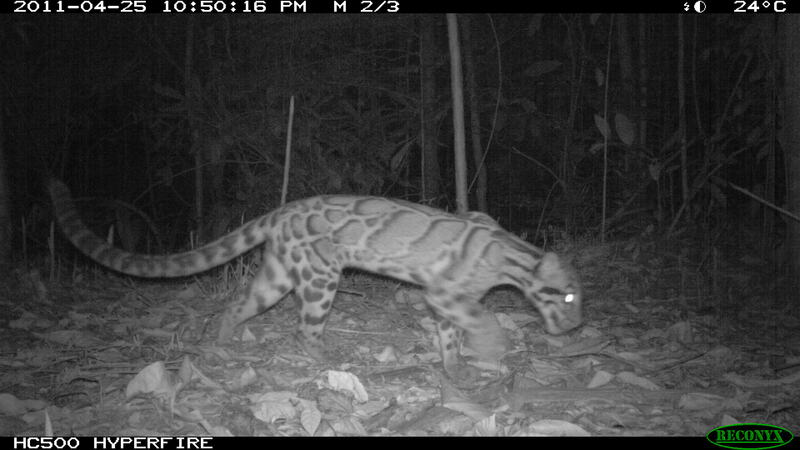 In this project, we are mainly interested to know the species present in the forests and the species utilising viaducts over fixed time periods. 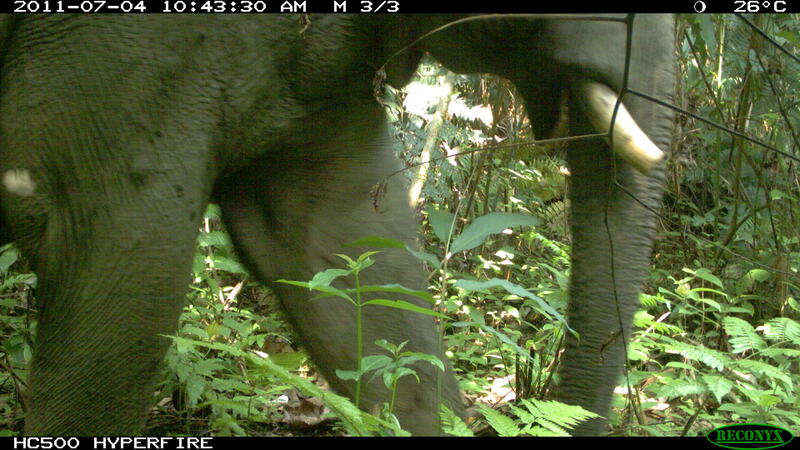 Fortunately, these camera traps are password-protected and have built-in cameras that would be of no use to a thief. 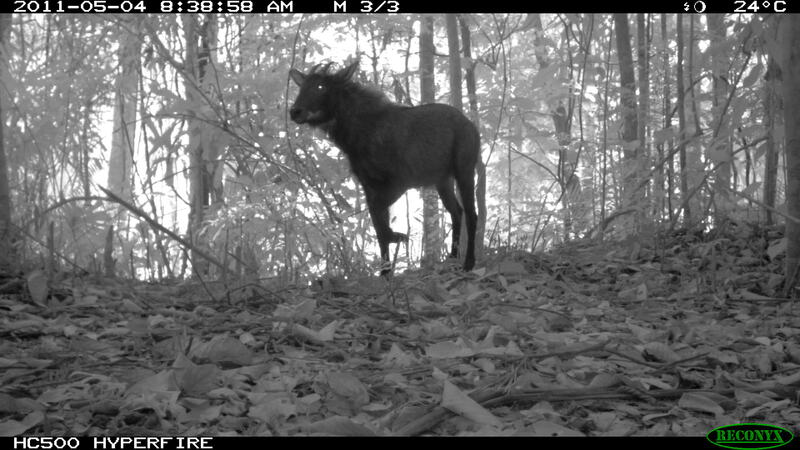 Our cameras have been out for 3 months in the forests and we are happy to report the cameras retrieved so far were healthy and dry. 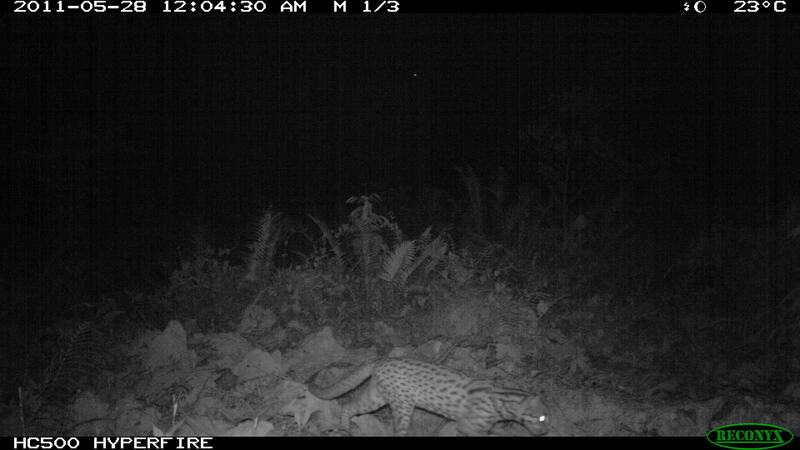 Here are photos of several interesting species recorded from the forests and beneath the viaducts. Enjoy! 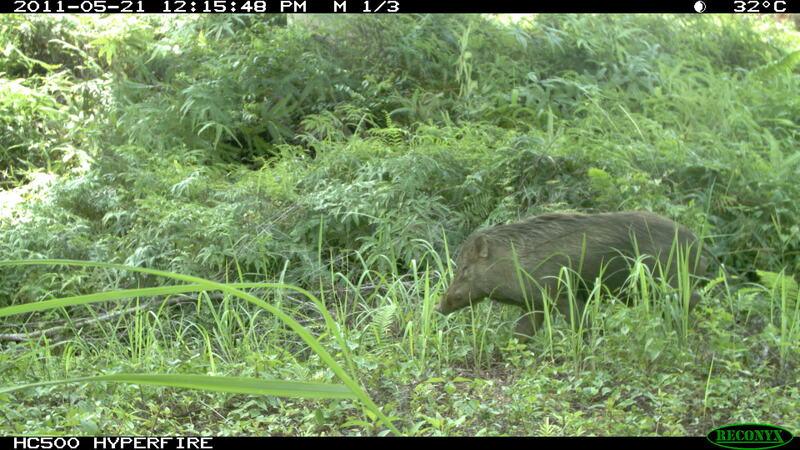 Pingback: Tales from Rimba 2: Why did the chicken cross the road? | Nature rambles. 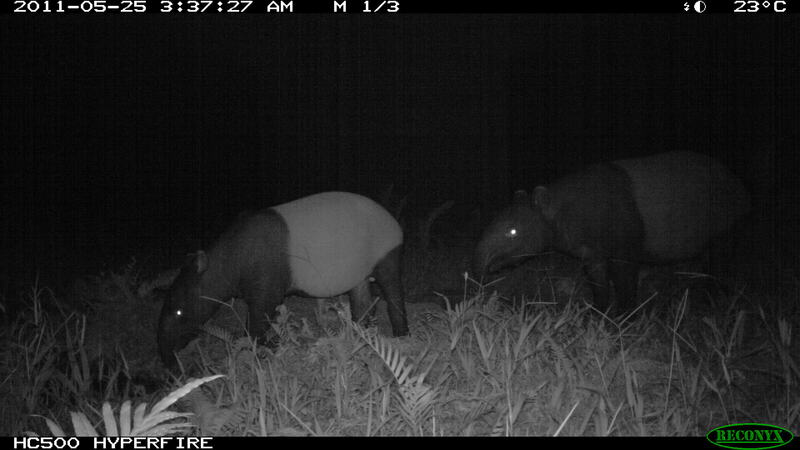 awesome bos.Hopefully your stduy will give good impact to our wildlife. Wonderful photos! 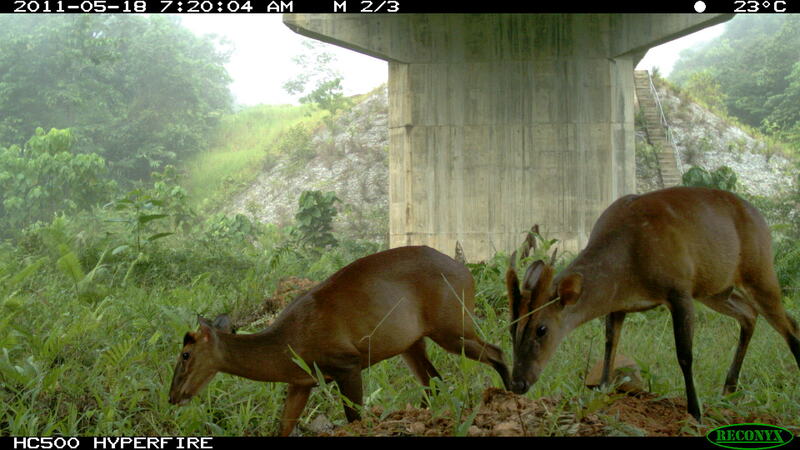 Great to see the wildlife underpass being used. 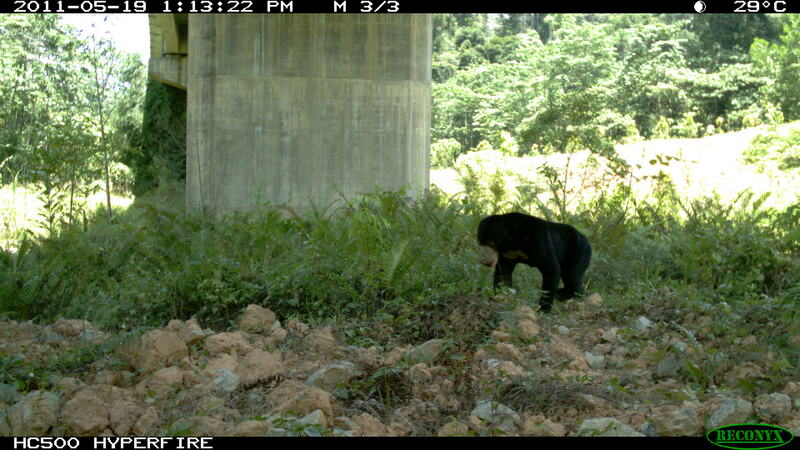 The photos are great and its good newss that animals are using the viaducts. Thanks alot for your support Erwin!